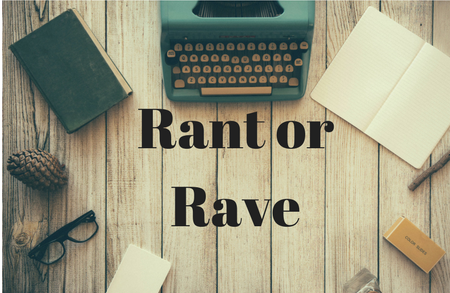 Time for another rant or rave! This week is a rave, as evident by the title. I just have to as that I'm so sorry it's been like two weeks since I've done one of these, I just kept going back and forth between two raves I wanted to do and just ended up settling on this one. Now let's get into it. I read the Princess Bride a few months ago and loved it. Before I had read the book I'd seen the movie. Now obviously the movie is a classic, everyone and their mother has seen the Princess Bride. It's a necessity of life. What really cements the movie as worth a watch is that it is also incredibly accurate to the book. I don't think anyone realizes just how true the movie is to the book. While I was reading the book I was just amazed that the movie had actual dialogue from the book, not just a line or two like most adaptation. This legit had entire scenes that were exactly as they were in the book. Honestly I could have watched the movie and read the book at the exact same time as reading the movie, just using the book as a script or something because it was that precise. As for the casting choices, I think those were also fantastic. Especially Andre the Giant as Fezzik. The casting directors completely lucked out when they found him because all I could think whenever reading about Fezzik and what he looked like was that Andre was perfect for the role. Now the rest of the cast was also pretty good, especially Wesley who I have to admit was really attractive. Overall Andre was the best casting choice by far. I might have even liked the movie a bit more than the book, it kept it more simple. In the book there is this entire subplot with the author and his fake life as an author and it was a bit confusing to say the least. On this not I thank the writers of the movie for just making it about a man telling a story to his grandson because that entire subplot in the book was just a huge whirlwind. To end off, the story itself is truly one of a kind. It takes stereotypes and tropes and flips them on their head. Instead of being cheesy it's packed full of action, adventure, and true love. There is something there for everyone and that's what I think is the best part about the Princess Bride. I can honestly say with 100% certainty that this was the best book to movie adaptation of which I have both read the book and seen the movie. This doesn't count those that I have only seen the movie or only read the book of. Has anyone else read the book or the movie? What did you think? I didn't even know this was a book! Huh!